Initiatives like Power Africa and last year’s New Alliance for Food Security and Nutrition have made friends of many strange bedfellows, although skeptics remain. The same is true with Somalia and Myanmar, which bagged billions in foreign aid pledges this year despite human rights abuses and a laundry list of other concerns. Other aid darlings like Liberia and Malawi, led by Africa’s first two female heads of state, continued to attract the goodwill of international donors. Humanitarian crises in Syria and the Philippines dominated the headlines while Egypt and the Central African Republic slid into chaos. The aid industry is in transition, and change takes many forms. With Canada and Australia, two more bilateral donors are merging their development, diplomacy and trade arms. The World Bank, the U.N. Food and Agriculture Organization and the Global Fund to Fight AIDS, Tuberculosis and Malaria are streamlining operations and retooling procurement in an effort to boost value-for-money. Save the Children subsumed Merlin, and Oxfam is shedding staff in the name of a reinvention. As the World Bank pushes ahead with reforms, the shakeup of senior management continues. After the departure of two veteran executives, Caroline Anstey and Pamela Cox, World Bank President Jim Kim appointed two vice presidents, Keith Hansen and Nena Stoiljkovic, both for the newly conceived global practices division. The bank is also creating 18 new senior positions to replace 45 sector directors who currently oversee its technical staff. New development ministers were appointed across Europe: In Finland, Pekka Haavisto succeeded Heidi Hautala; in Sweden, Hillevi Engström replaced Gunilla Carlsson; and in Germany, Dirk Niebel relinquished his post to Gerd Müller. David Miliband, the former U.K. foreign secretary, now serves as president and CEO of the International Rescue Committee. Roberto Carvalho de Azevêdo succeeded Pascal Lamy as director-general of the World Trade Organization; Susan Desmond-Hellmann took the helm at the Bill & Melinda Gates Foundation from Jeff Raikes; and Darren Walker is now the president of the Ford Foundation. 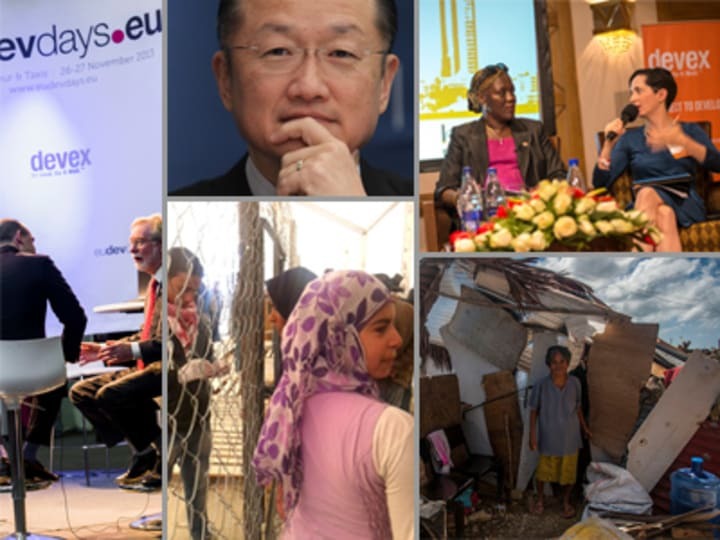 We’re proud to provide the most comprehensive news, analysis and advice to the world’s largest community of development professionals and leaders. Expect more next year as we expand our network of correspondents and expert contributors. And if you’d like to share a story tip or contribute your thoughts and expertise, please email us or leave a comment below.